How to write a Promotion Announcement Letter? 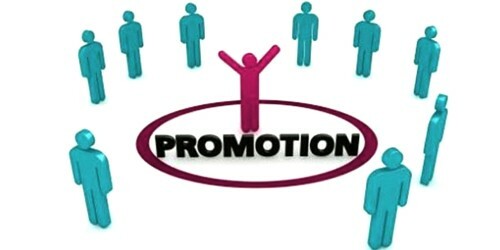 A promotion is nothing but an advancement of an employee within a company. A promotion can mean a lot of things to an individual, depending on his priorities. It is a reward for the employee’s excellence in the tasks and responsibilities allotted to him/her. It is usually accompanied by an increase in responsibilities and a higher remuneration. An employee promotion announcement is exactly what the phrase describes: it is a formal document announcing the promotion of an employee. Depending on the size of the department and or the company, the way the promotion is announced varies. Actually, this document is basically in the form of a letter, which is why it is also often referred to as a “promotion announcement letter”. In certain scenarios, an employee’s promotion may be announced during a meeting or an event. A promotion announcement letter serves as a formal notice concerning promotions from within the company. However, the most preferred and widespread medium is by sending a letter to the concerned employee with the relevant information about his impending promotion, as well as a notification to those concerned within the department where the employee works. The purpose of a promotion announcement letter is to provide information about a promotion and, in this particular case, there are two clear intentions in preparing this letter. To inform other members of the organization and all other stakeholders about the promotion. A promotion is a reward for excellence at work, and as such, this professional letter should make the recipient feel the same. The Promotion Announcement Letter is normally written and sent by a member of the management or those within the concerned department. Employee promotion letter must have all the relevant details regarding the promotion such as the new designation, responsibilities and the increase in salary if any. It’s basically similar to an acknowledgment letter where it shows information regarding who, what, when, where, and why. It should also applaud the recipient for his/her excellent performance and encourage the person to perform better in the future. The letter must convey that the employee’s work is being noted and appreciated by the management. It should contain all the relevant details regarding the promotion. We recently received your application for promotion to the post of (Job title) and while there was no shortage of worthy candidates, the management has unanimously agreed to accept your application. (describe in your own words). It is my great pleasure to inform you that you have been chosen for the promotion, owing to your exceptional performance and record over the past few years. (Describe actual cause and situation). From the next quarter starting from (date), your job designation will be that of (Job Title), and your new salary will be (amount). (Describe your requirements). I would like to extend my congratulations on behalf of the management, and we hope you continue to prosper at our company.